The first part (or more traditionally, “season”) of Netflix’s Chilling Adventures of Sabrina dealt with a classic battle of good versus evil. As a half-witch, Sabrina Spellman (Kiernan Shipka) embodies the struggle between the mortal and supernatural realm. 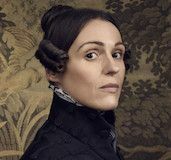 The series thus kicked off with her deciding whether or not she wants to go through with her Dark Baptism, just one of a number of clever religious inversions the show makes to create its Church of Night. But most of the tension and even humor of those first episodes came from Sabrina being pulled between two worlds: her mortal friends versus her witchy family, and the Path of Light and her Christian baptism versus the Path of Night and choosing to give in to Satan’s thrall. Sabrina ultimately chose the latter, seeing it as her destiny and a way to continue to help her friends and family by committing to a life of magic. Its consequences for the show are less certain. Sabrina’s choice to follow the Church of Night immediately took away one of the most potent dichotomies in the show. Now, Sabrina finds herself in Season / Part 2 almost totally leaving her mortal life behind, and her plucky desire to help those around her replaced with a less-charming sense of entitlement. 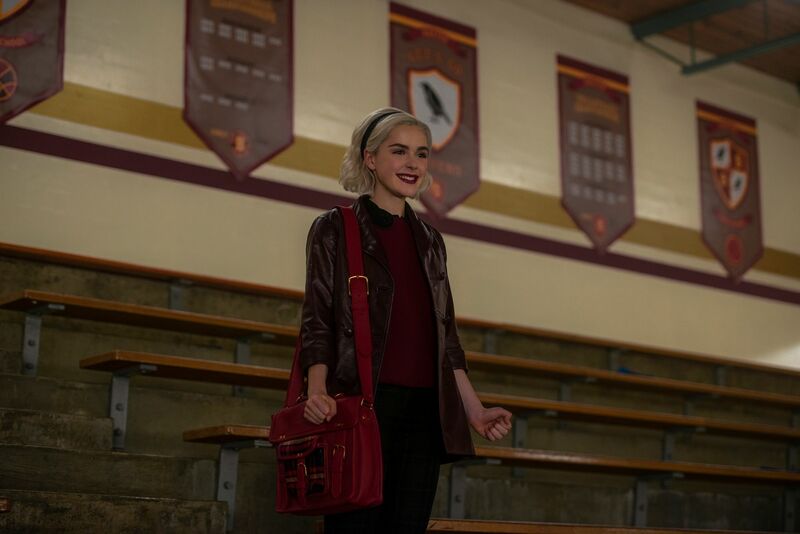 The first 5 episodes available for review do break the cycle of Sabrina engaging dangerously with magic she can’t control in order to help others (and seemingly not learning anything from it), but her newfound literacy in spellcasting feels unearned. Like many teen series, Sabrina makes the mistake of never once showing the students actually learning anything. When she puts herself forward for the honorary position of Top Boy, challenging gender privilege at the Academy, it falls flat. Not because it isn’t a righteous cause, but because she has done nothing to earn it other than repeating over and over that she is Sabrina Spellman, the daughter of a former High Priest. 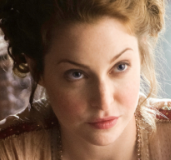 Gone is the character development of the first season, where episodes like the one featuring a Dream Demon led to major but still organic revelations about relationships (especially between Miranda Otto’s Zelda and Lucy Davis’ Hilda). The conflicts, where Sabrina’s impulsive acts led to major mistakes, had real stakes that played out over multiple episodes. Now, conflicts are explained away almost immediately, or introduced and dropped easily. In one example, Hilda finally learns Dr. Cee’s (Alessandro Juliani) secret — which viewers were teased with in Season 1 — but after it’s briefly (and flatly) introduced, it’s never specifically resolved or mentioned again. Elsewhere, Susie (Lachlan Watson), who goes through an important transformation this season, tries out for the boys’ basketball team but fails miserably until Sabrina casts spells so that her shots go in. Without Sabrina, though, Susie is still legitimately a terrible basketball player, and yet, subsequent scenes allude to her suddenly being a star. As for Sabrina, there is a really interesting mention of her thinking her “evil” is “contagious,” but that moral quandary isn’t followed-up on at all. 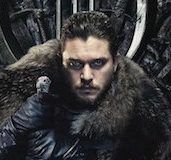 Much like the Christmas Special episode “A Mid-Winter’s Tale,” these Season 2 episodes continue to provide us a cozy, stylish world of magic to live in, but one where the narrative beats are feeling increasingly rushed and chaotic (and, frankly, less magical). Sabrina continues her complicated friendship with Harvey (Ross Lynch), though becomes increasingly enamored with the handsome Nick Scratch (Gavin Leatherwood). But Nick struggles to become a three-dimensional character, while similarly, the always intriguing Prudence (Tati Gabrielle) suffers from a host of inconsistencies when it comes to who she is outside of wanting Blackwood to claim her as his daughter. One of the series’ best characters, Mary Wardwell (Michelle Gomez), a.k.a. 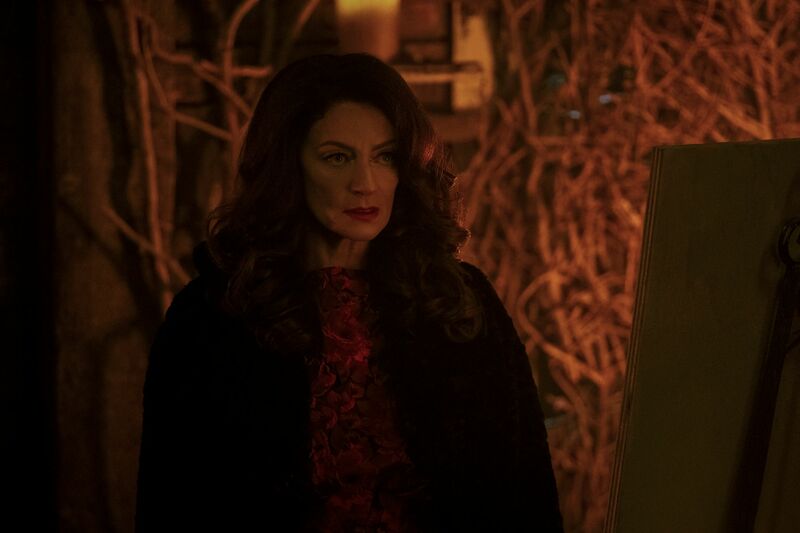 Madam Satan, a.k.a. Lilith, is also not given as much to do this season since Sabrina is now ensconced in the Academy. That’s unfortunate for a number of reasons, not the least of which is that her character has done a complete flip in her relationship with the young half-witch. In the first season, Wardwell served as a mentor to Sabrina, encouraging her towards the Path of Night as part of Satan’s plan for her. But now Wardwell knows that Satan has big plans for Sabrina, ones that could supplant her own position with the Dark Lord (or so she believes). 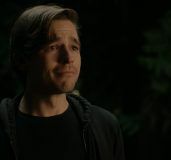 As such, Wardwell is encouraging Sabrina to embrace her Light nature and not do the Dark Lord’s bidding, stoking the defiance that fueled Sabrina through the first season. That should be a funny and interesting storyline, but it’s not given much consideration or time, with Wardwell instead shoved into a sudden love story rather than a more interesting exploration of her position as the new principal of Baxter High. (Especially when it comes to the casual use of magic — something the show has totally dropped). There really isn’t much exploration of anything, including what was the core conflict of Sabrina feeling like she must balance her natures. That, again, leads to the new season feeling a little lost. 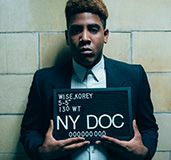 The world the show has created is one worth spending plenty of time in, and the fantastic actors brought in to populate it have boundless potential. But this time around, it all feels a little empty. It’s particularly a shame because Chilling Adventures of Sabrina has always been a show that champions women, if simply by having so many diverse female characters. And while there are some very pointed gender-commentary themes in the new season (including, intriguingly, Zelda putting aside her own ambitions to amass more power in the future in a way that will surely backfire), they don’t feel particularly connected. In Sabrina’s quest to become Top Boy, she’s aided at the start of her trials by the Weird Sisters. The sisterhood aspect is a fun one, especially since Sabrina has had (and continues to have) such a fraught relationship with them. And yet, it undermines the whole point of Sabrina running for the position in the first place, in that she doesn’t actually deserve it. Even an early capsule episode that focuses on a tarot card reader passing through town, one who shows our leads the consequences of their desires, feels like a pale imitation of the Dream Demon episode. Chilling Adventures of Sabrina has in no way burned through enough plot to start repeating itself, although it could now be on track to do so. Further, more meaningfully integrating the mortals with the witches — something we are told Edward Spellman was intent on fostering — is not something the show seems to know how to juggle. Sabrina hardly sees her old friends, with Hilda (rather hilariously) filling her in. But even the religious subversions that dominated the first season feel less interesting now that there is nothing much to subvert; it’s just fully Satanic now, with Satan himself making a myriad of creepy goat-man appearances. It no longer feels like a quirky satire, but instead a straight-forward gothic tale steeped in evil. Long episode runtimes (especially ones that exceed an hour) don’t help the series’ cause either. There’s not necessarily a feeling of bloat so much as aimlessness. 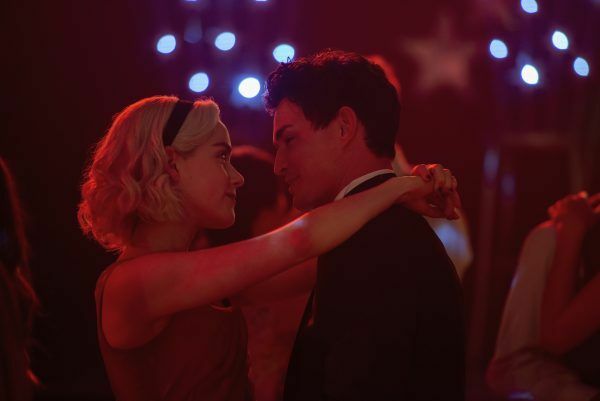 A show like Sabrina can work as a collection of vignettes with Demons of the Week (as Season 1 did), but there has to be some overarching connection. Sabrina herself doesn’t have many adventures in the new season yet, nor particularly chilling ones. Somewhere along the Path of Night, the show has started to wander off into an uncertain darkness. Chilling Adventures of Sabrina Part 2 premieres Friday, April 5th on Netflix.